Something very unlikely to be popular from Italy is its beverages, but you cannot remain untouched by the lip-smacking trickle of the Italian drinks and cocktails when you are in Italy. On top of everything, the best time to enjoy the traditional Italian drinks is here, as it is the peak of summers. We bring you some of the most relished Italian cocktails and drinks you must sip at on your Italian vacation. Another amazing drink from Venice is Aperol Spritz whos originating story is not known to people but who’s taste has made the whole Italy its fan. 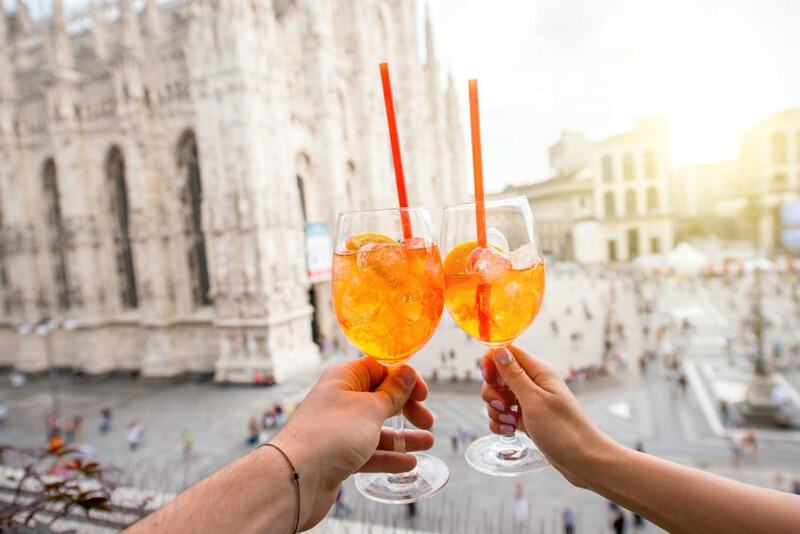 Like Bellini, Aperol Spritz also has Prosecco as one of the major ingredients. The people of Triveneto hold that originally Spritz was a mix of Prosecco and sparkling water to deter the people getting drunk. Aperol was added sometime later which made it Aperol Spritz. 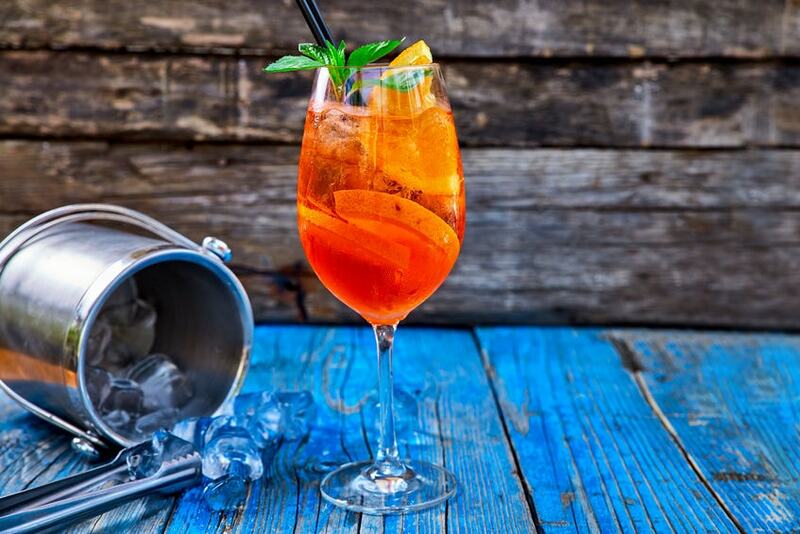 Apart from Prosecco, parts of soda, part of Aperol, a slice of Orange is added to the refreshing drink. Close to hitting its centenary, Negroni was born in 1919. 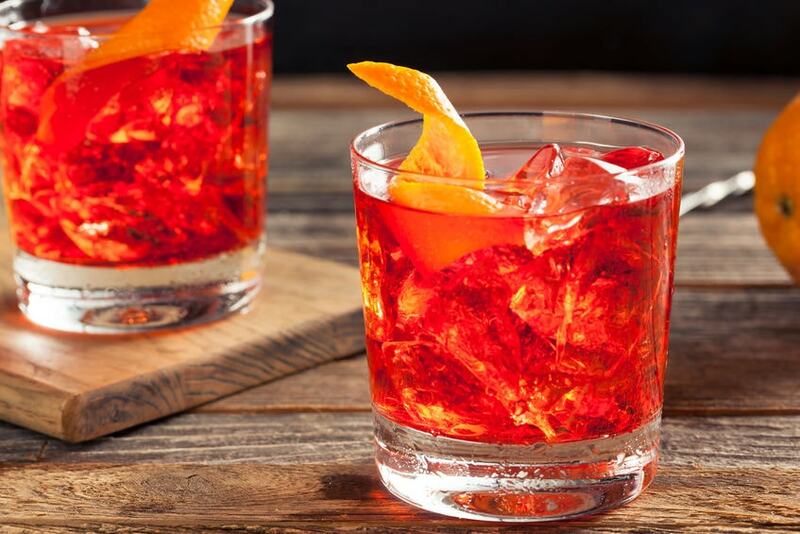 The variant of Americano, it became Negroni when an aristocrat from Italy asked the bartender Fosco Scarselli of Caffe Casoni to replace soda with gin in his Americano which was not strong enough. 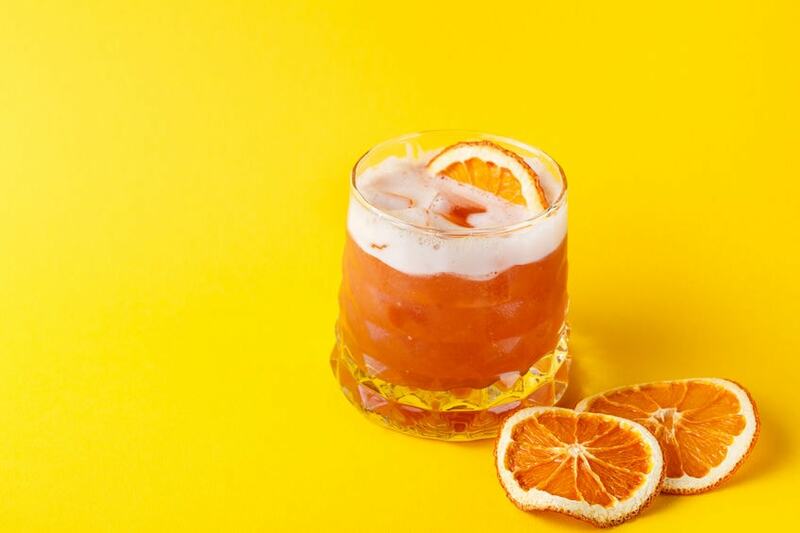 The bitter-sour taste of the hit spin-off of a classic drink attributes its flavour to Campari, sweet Vermouth, Gin and Orange slices. This might ring the bells in your ears if you are a fan of Dan Brown. Yes, you got it right, Robert Langdon in the third instalment- Inferno was offered Limoncello. 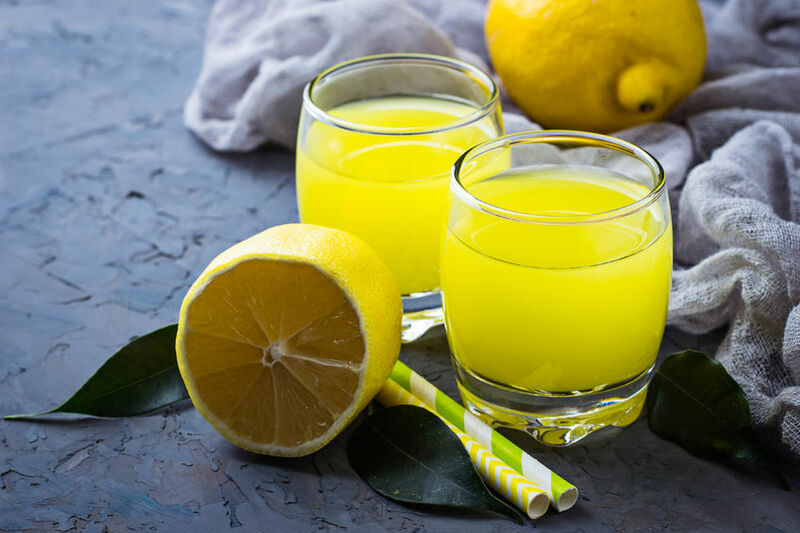 Made with a base of lemon, the Italian drink originated from the island of Capri. It is widely believed that Limoncello was invented by the Canale family of the island. Traditionally the drink from Capri is made from lemons that are grown on the island which attribute to large size and thick peel. The other ingredients of the Italian drink which are usually consumed after dinner are pure grain alcohol, water and sugar. The tangerine coloured drink has a legacy to its name. If you know a little bit of Italian history, you would connect it just right to the famous Italian general Giuseppe Garibaldi- the man who unified Italy. Like General Garibaldi, Garibaldi blends the two tastes of North and South Italy and hence symbolising the role of Giuseppe Garibaldi in the Italian history. The bitter tasting Italian orange drink is a blend of Campari from the North and oranges from the south. It is generally consumed as an aperitif as it stirs up the hunger and thus is suitable before all meals. The predecessor to Negroni, L’Americano was devised in 1860’s in Gaspare Campari’s caffe in Milan. As Shakespeare quotes “what’s in the name”, L’Americano is not the original name of the drink. Originally known as Milano-Torino, it was rechristened after the Americans tasted the bitter cocktail and became a huge fan of it during the prohibition era in the US. 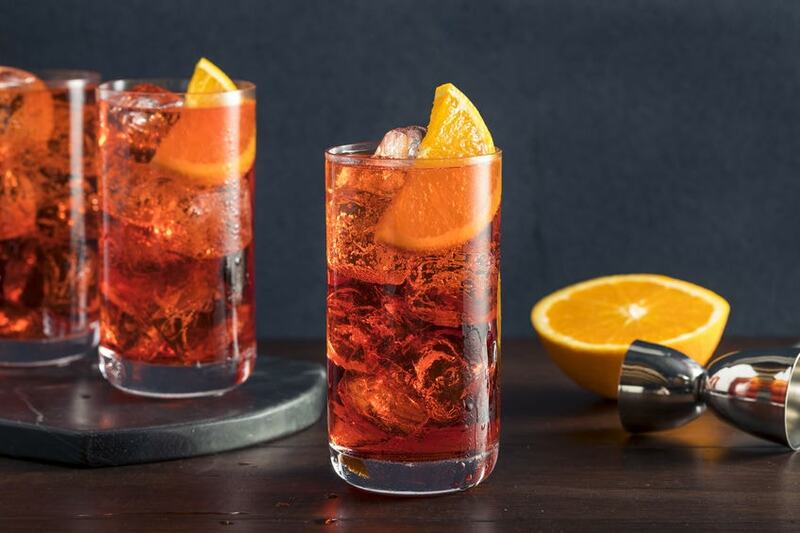 Campari’s cocktail is a mix of Campari, sweet Vermouth, soda and Orange. From the streets of Brescia, comes a cocktail that shares its name with the Italian footballer Andrea Pirlo. Pirlo means ‘fall’ and gets this name from the circular movement Campari makes when you pour it in the white wine. Pirlo, like many of its other counterparts, is an aperitif and is made from a part of Campari mixed with dry Italian white wine and garnished with a slice of Orange. 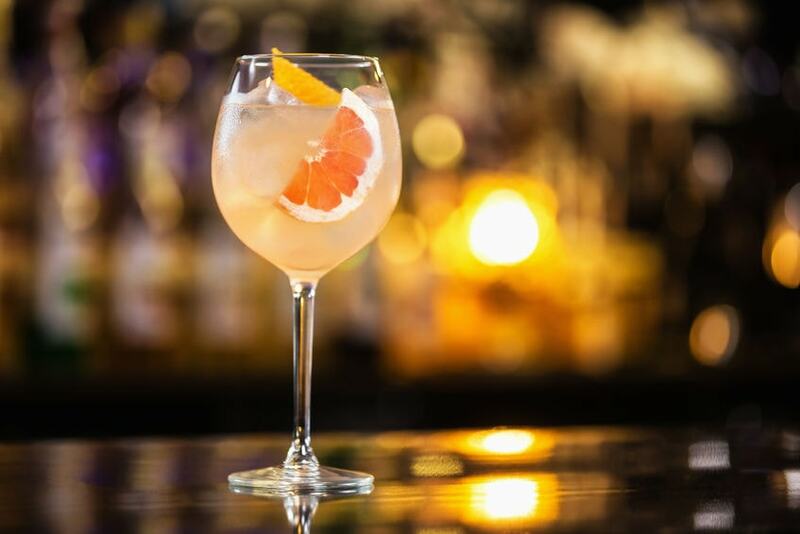 Without a doubt, the very first cocktail you ought to taste is the Bellini. Not long before, Bellini was invented in a bar in Venice in 1948 by the head bartender named Giuseppe Cipriani. Soon the taste hit with the locals as well as the tourists visiting Venice. The popularity of the peach-based beverage rose to an international level in the coming years and found love in the hearts of people in New York. 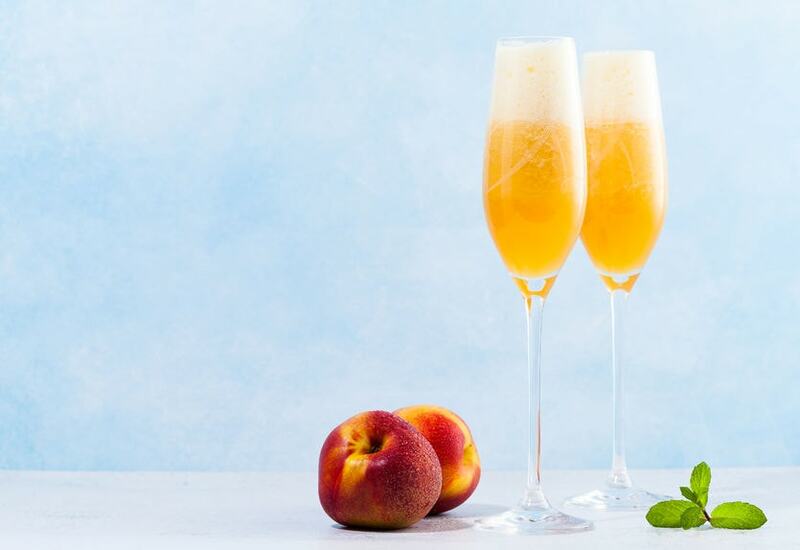 Just opposite to worldwide popularity, Bellini is a simple blend of Prosecco and white peach puree. 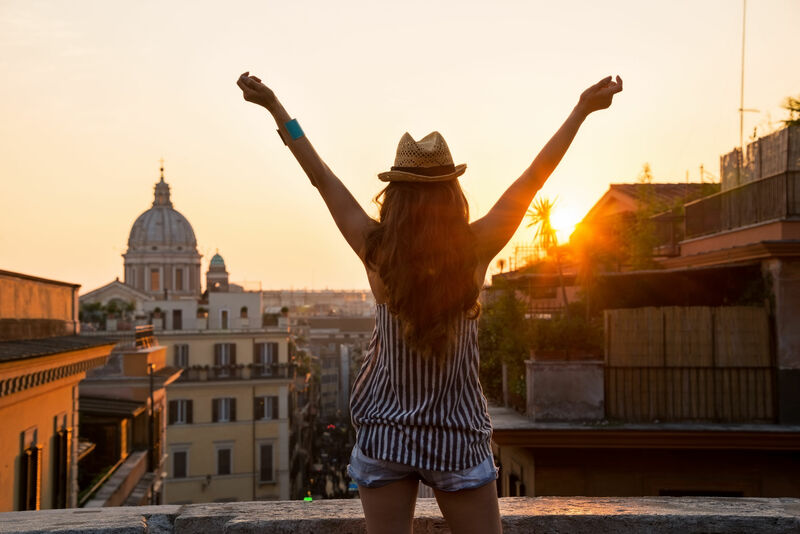 Two, like these appetite stimulating drinks, the blog should wake up the connoisseur inside you to plan an Italian summer vacation.